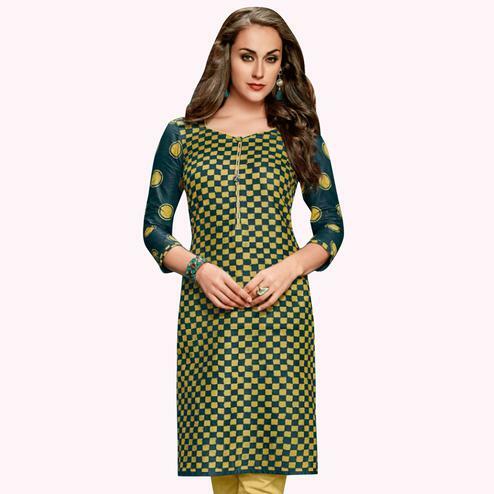 This sea green color kurti is made out of crepe fabric and detailed with floral and stripes design digital prints as shown. 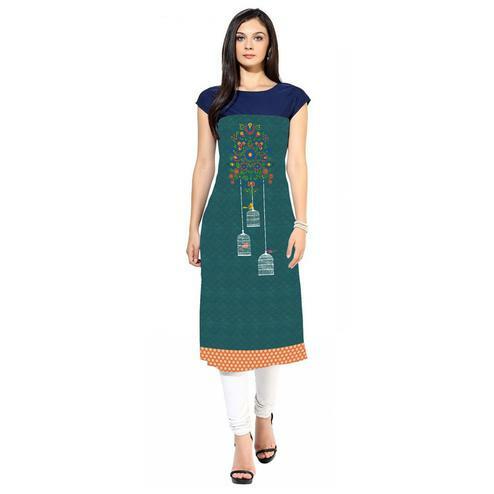 Pair this short sleeves kurti with matching leggings or jeans for a complete look. Ideal for casual & regular wear.